Think of your website as your digital shopfront. It’s your customer’s first impression of your business. Even if you have a physical store, many consumers will still visit your website to complete a ‘legitimacy and professionalism’ check. So how can you make a good first impression? Aside from what’s being shown on the outside (your website’s design and appearance), visitors will also judge your website based on your content. If visitors can’t find good, valuable, and high-quality content, then they’ll lose trust and they’ll move on to your competitors. This is where cornerstone content becomes crucial. Cornerstone content is basically primary content that is shown on the first page or specific pages on your website. It consists of your best, most valuable and engaging content. 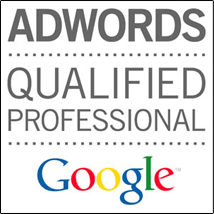 It’s informative, relevant, and encompasses everything there is to know about your business. Does your website need cornerstone content? Cornerstone content is crucial for your audience to be able to research your company, products and/or services and make a decision about whether to deal with you. A lot of business owners assume consumers already know their business when they visit their website – and this is where they’re wrong. Don’t assume everyone who’s going to visit your website will automatically know what you’re about. If you confuse them – they probably won’t visit again. Cornerstone content helps new visitors gain an understanding of what you do and why you do it. The easiest way to find the right topic for your cornerstone content is to put yourself in your target’s shoes. What are their first questions when visiting your website? Gather all the information from everyone in your team. You can also conduct a survey for your consumers. List all the answers to these questions and choose the topic(s) you think will be most beneficial. Content can be all forms – not just written text. 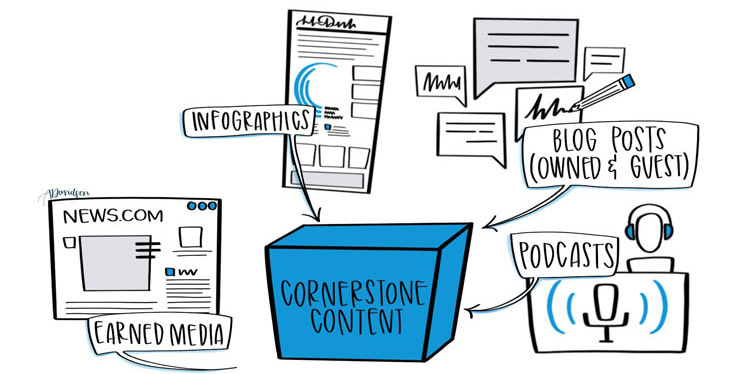 You can create an infographic or video for your cornerstone content. Not all content can work for your business so make sure you’re choosing the right format. Determine which format works best for your audience. Most cornerstone content is lengthy and detailed, but there are also some which are simple and short. Long tail keywords are great for optimizing pages and posts for the reason that phrases are more specific and you have a better chance of ranking higher. Despite this, it’s also important to note that your cornerstone content has to focus on using competitive keywords. Choosing the most appropriate keyword for your cornerstone content will help search engines target the right audience to your website. Research your competitors. What is their cornerstone content about? What else has not been written about your topic? Make your content unique and valuable, not just a copy of things that are already out there. If your website already has a pool of awesome content, you can simply edit, combine, and update posts in order to create your cornerstone content. If not, you can write it and create posts around your cornerstone content. If you’re hiring someone, make sure you hire right. Consider your cornerstone content as an investment in your business and don’t forget to put your call-to-action at the end of the page. Link your cornerstone content to relevant pages and posts on your website. Make sure you use your focus keywords smartly all throughout the article and in your headings. Use the best SEO practices to make sure your content ranks well. Once your cornerstone content is published don’t forget to keep it fresh and relevant. Edit and update it regularly to make sure it’s a complete and valuable resource your audience will love to share. The best way to draw people to your business is to establish yourself as a trusted authority in your industry. After publishing your cornerstone content, don’t forget to promote it to all your subscribers and on social media.